THOUGHTS: Ann’s style of teaching and her 30 (+) years experience, have made her one of the most sought after Yoga teachers in this area. Her strong voice and sense of purpose has inspired students from year to year. Her Iyengar inspired approach allows students to access poses that would not be ordinarily available to them by using props. Each class is designed to build on the body’s natural knowledge, from warm up exercises, strength, balance and flexibility poses, to cool down movement and breathing awareness. She constantly reminds us that the body knows what to do, and it craves this directed and focused alignment. Her unique sense of humor makes everyone feel comfortable and relaxed. GOALS: Ann’s goal is to accommodate every person. She wants each student to come and learn about their bodies and about Yoga, and for everyone to leave each class with a smile on their face and a feeling of success and inclusion. Classes are planned around the group’s dynamics each day, and they are directed, focused on alignment and preventive injury . Anatomy/ physiology are honored in each pose to ensure proper stretching and focus and poses are introduced and modified to accommodate all levels of students in a fun, easy going manner. The playfulness that Ann has for life permeates each class, and the students work hard, rest deeply and laugh often without stress or concerns of failure. There are no wrong answers, just a sense of fun and progress. EXPERIENCE: Ann began teaching Yoga in 1990 after apprenticing with Jyoti Hansa. She has over 500 hours of teacher training and countless hours in the classroom. Her relationship with Yoga started over 35 years ago when she walked into her first Yoga class. Over the years, she has taken Iyengar classes with Jyoti Hansa, Patricia Walden, Ramanand Patel, Mary Dunn and many classes in other disciplines of Hatha Yoga. 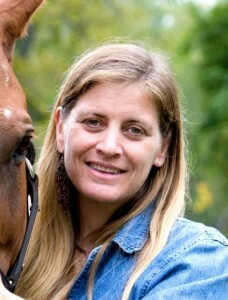 She has taught Yoga for Dartmouth College, Smith College and weekly classes in NH, VT and MA. She currently houses her business at 25 Stow Road, Boxborough Ma in a lovely antique building overlooking a pond . There, she teaches 9 classes a week. Find Ann on Facebook at Daring Dog Yoga/Ann Seymour and “like” her page for ongoing yoga articles, Yoga practice inspiration and articles on anatomy and psychology .